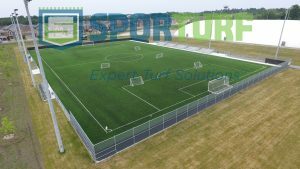 According to the Synthetic Turf Council, in the United States alone, there are over 5,500 synthetic turf fields in current use. Millions of students across the country have the opportunity to practice and play on a sports field that is functional rain or shine. Lower maintenance costs. While we can’t say the initial cost will be cheaper, it will be in the hundreds of thousands, the upkeep is much less costly. Your typical natural turf sports field can use up to a million gallons water each year, with synthetic turf water is not needed. Add to it, that synthetic turf needs no mowing or trimming nor traditional grooming. Chemical/pesticide-free. Dissimilar to natural grass, synthetic turf does not require pesticide treatment nor fertilizers. Extended play. 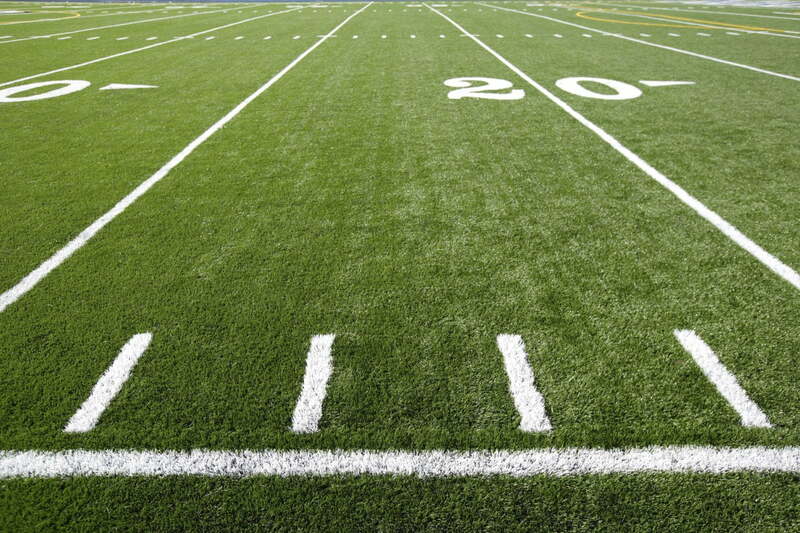 Synthetic turf fields are so much more durable than natural grass fields. Natural grass is more susceptible to weather, animals, wear and tear from players and a multitude of other components. With a synthetic field, you don’t have to worry about a flooding field or muddy play space. ADA compliant. Many fields are required to be ADA compliant. With turf this is easier to accomplish that it could be with natural turf. Logo Customization. 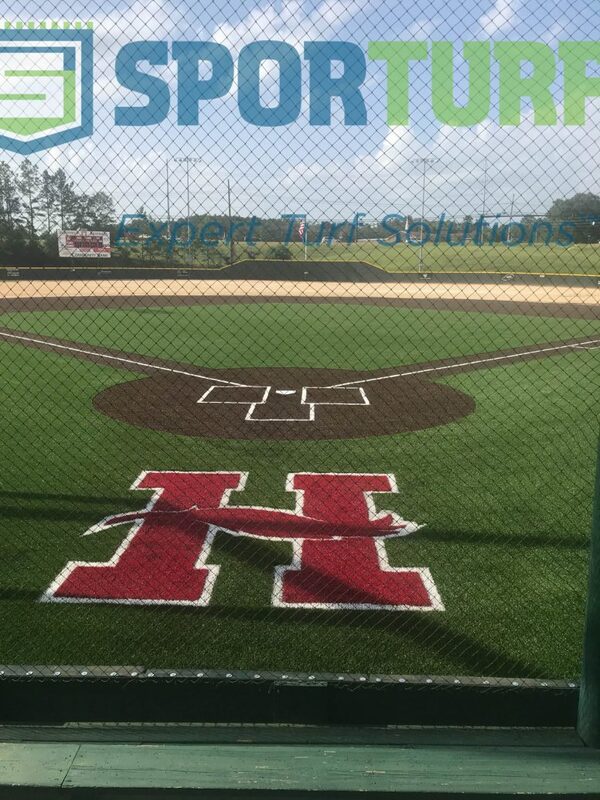 Synthetic turf allows for logo customization that is durable and more vibrant than a painted field. The logos can’t be worn away. It can and will be a costly investment and for some that may be a mitigating factor. Temperature and heat. Synthetic turf can and will heat up in the sun but as technology continues improving the heat can be managed with infill and light water spray if needed. 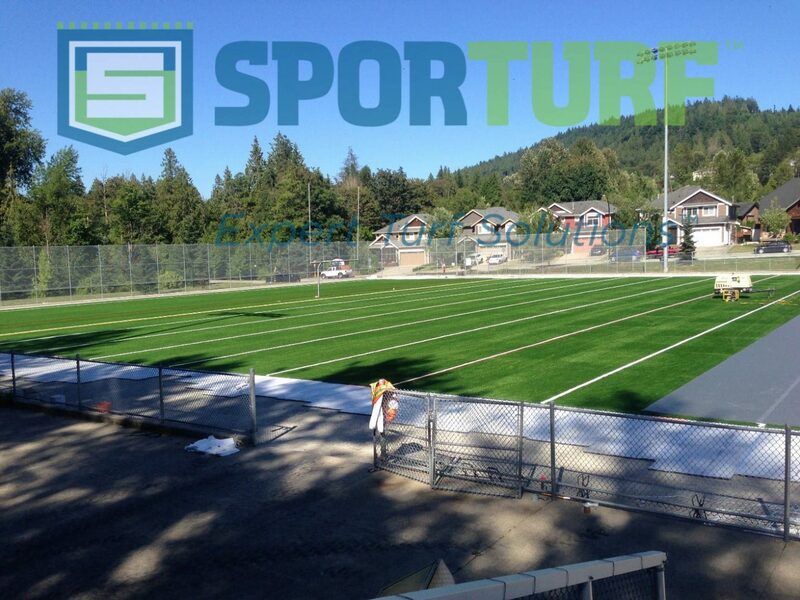 Sporturf™ dealer Steve Halbert of WorldWide Turf Canada is currently working on installing two multi-purpose fields in the city of Maple Ridge, BC. The city of Maple Ridge was diligent in making sure that their choice for surface and installer for the fields was correct and going to work for them in the end. Halbert’s company was established with complete end-to-end service in mind. 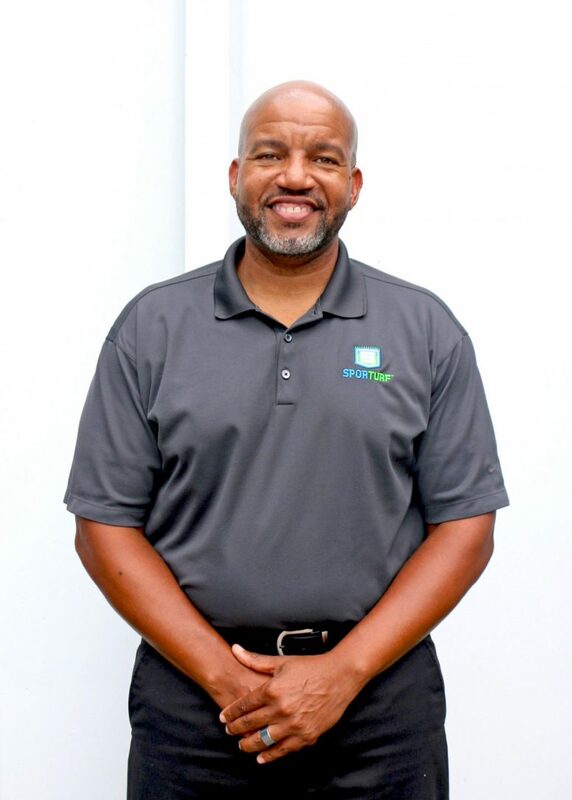 They believe that the framework for success and excellence include the trifecta of quality, service and expertise. 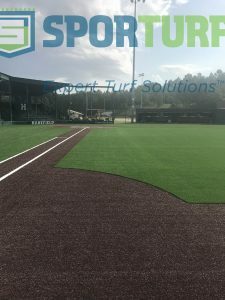 This allows them to deliver the best quality Sporturf™ products at a competitive price with the expertise to build and install custom fields with the highest level of service. The first field they are working on is at Samuel Robertson Technical School, and installation has begun with an estimated completion of this fall. The Samuel Robertson field size is 111,000 sq. foot (10,300/m2) and will house the following sports, Soccer, Lacrosse, Football, and Field Hockey. The second install they are working on is at Golden Ears Elementary School with a completion date of the end of August. The field size is 90,000sq foot field (8400/m2) and will provide playing space for the following sports: Soccer, Lacrosse and Baseball. The cost for both projects comes to about $1.27 million, and the turf will be multipurpose Duration 50 product. The Duration Series is constructed with technological advanced Monofilament fiber. This performance-based system delivers the best to both the athlete and owner. Engineered to meet all the testing requirements of FIFA. These FIFA requirements allow athletes and owners to be confident that performance is always there for them. Duration is available in two configurations that can qualify for FIFA certifications. Both have unique performance characteristics. 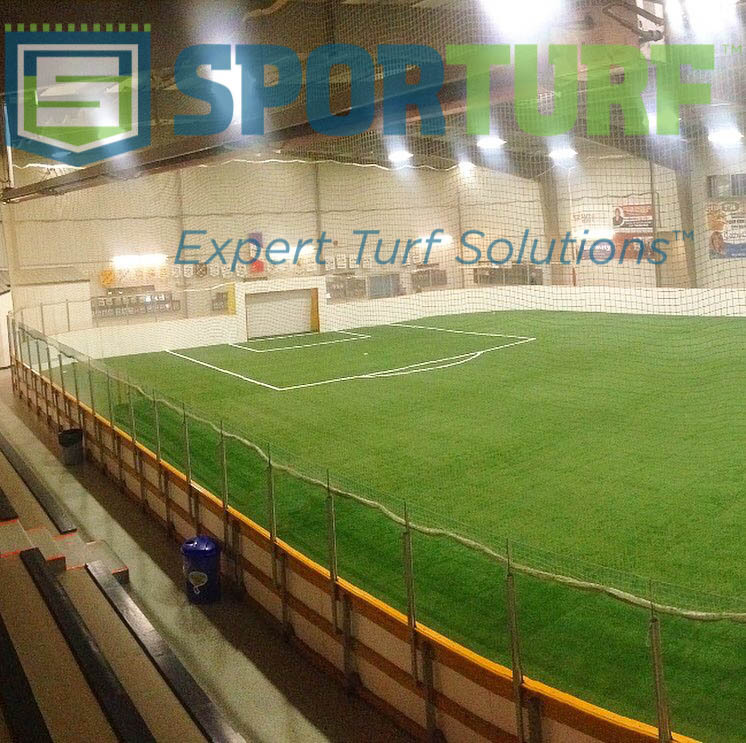 Since turf was first invented, we have needed suitable infills for installs where the turf needs to stand up. There are different types of turf for every application and it only makes sense that there are multiple types of infill. Crumb Rubber: Crumb Rubber is derived from scrap vehicle tires that are ground up and recycled. Two types of crumb rubber infill exist: Ambient and Cryogenic. Together these make up the most widely used infill in the synthetic sports field and landscape market. Crumb rubber infill is substantially metal free, and, according to the STC Guidelines for Crumb Rubber Infill, should not contain liberated fiber in an amount that exceeds .01% of the total weight of crumb rubber, or .6 lbs. per ton. Coated Rubber Infill: Both ambient and cryogenic rubber can be coated with colorants, sealers, or anti-microbial substances if desired. Coated rubber provides additional aesthetic appeal, reduction of dust by products during the manufacturing process and complete encapsulation of the rubber particle. EPDM Infill: EPDM (Ethylene Propylene Diene Monomer) is a polymer elastomer with high resistance to abrasion and wear and will not change its solid form under high temperatures. Typical EPDM colors are green and tan. EPDM has proven its durability as an infill product in all types of climates. Its excellent elasticity properties and resistance to atmospheric and chemical agents provide a stable, high performance infill product. Organic Infill: There are several organic infills available in the North American market, all utilizing different organic components, such as natural cork and/or ground fibers from the outside shell of the coconut. 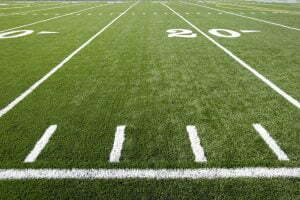 These products can be utilized in professional sports applications as well as for landscaping. At the end of its life cycle it can be recycled directly into the environment. Sand (Silica) Infill: Pure silica sand is one of the original infilling materials utilized in synthetic turf. This product is a natural infill that is non-toxic, chemically stable and fracture resistant. Silica sand infills are typically tan, off-tan or white in color and – depending upon plant location – may be round or sub-round in particle shape. As a natural product there is no possibility of heavy metals, and the dust/turbidity rating is less than 100. It can be used in conjunction with many other infills on the market to provide a safe and more realistic playing surface. The round shape plays an integral part in the synthetic turf system. It is important that silica sand have a high purity (greater than 90%) to resist crushing and absorption of bacteria and other field contaminants. Silica sand can either be coated with different materials as a standalone product or can be used to firm up in combination with traditional crumb rubber infill systems. 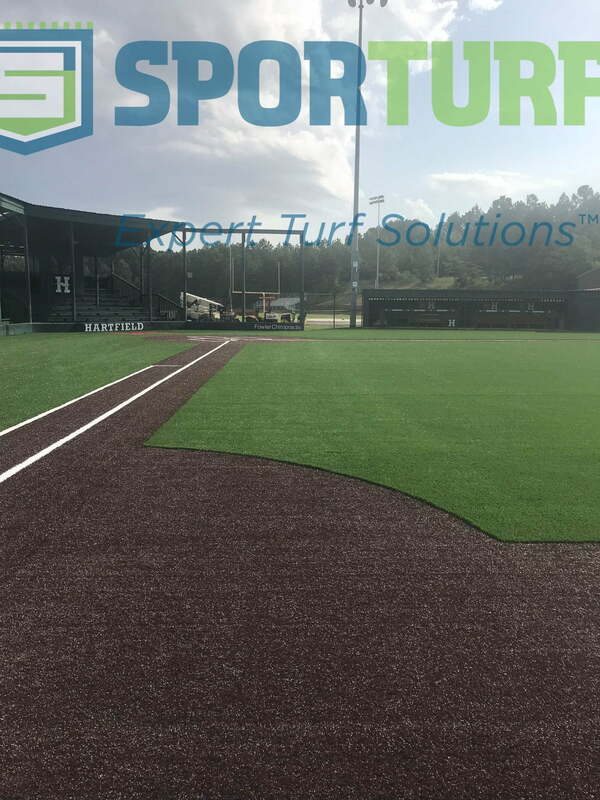 Coated Silica Sand Infill: This class of infill consists of coated, high-purity silica sand with either a soft or rigid coating specifically engineered for synthetic turf. These coatings are either elastomeric or acrylic in nature (non-toxic) and form a bond with the sand grain sealing it from bacteria to provide superior performance and durability over the life of a field. Coated sand is available in various sizes to meet the application’s needs. Depending on the amount and type of infill, coated sands can either be used with or without a pad and are available in various colors. 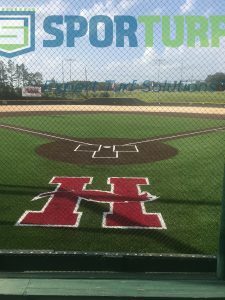 All of the coatings are non-toxic and are bonded to the quartz grain for superior performance and durability over the life of your field. 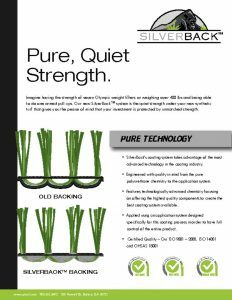 These materials are typically used as a homogenous infill which provides both ballast and shock absorbing qualities to a synthetic turf application. TPE Infill: Thermo plastic elastomer (TPE) infill is non-toxic, heavy metal free, available in a variety of colors that resist fading, very long lasting, and 100% recyclable and reusable as infill when the field is replaced. TPE infill, when utilizing virgin-based resins, will offer consistent performance and excellent g-max over a wide temperature range.